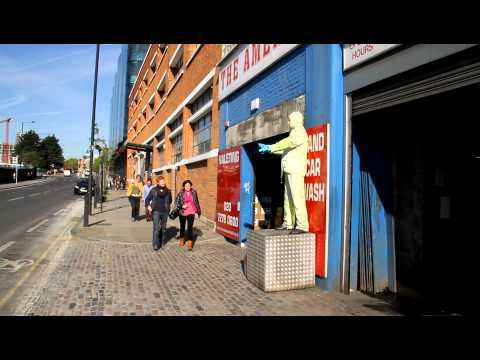 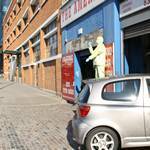 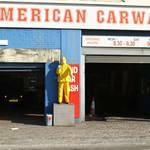 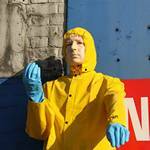 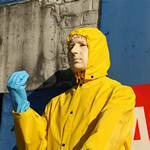 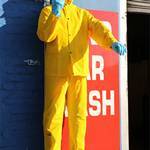 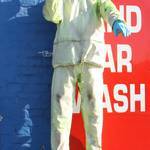 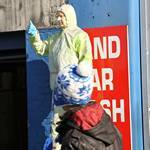 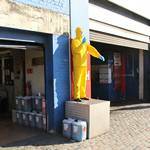 There has been a mechanical waving mannequin outside the American car wash in York Way, Kings Cross advertising the car wash and amusing passers-by for many years. 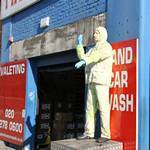 There are numerous pictures of him on the internet, and he is know the the guys at the car wash as Michael. 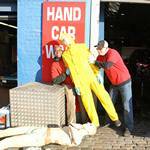 On this day, mannequin man took Michael the mannequin's place, actually wearing the same clothing that he'd been wearing for all those years, which had started to show its age and fall apart, as had Michael the mannequin, who had developed a mechanical fault, and would wave no more. 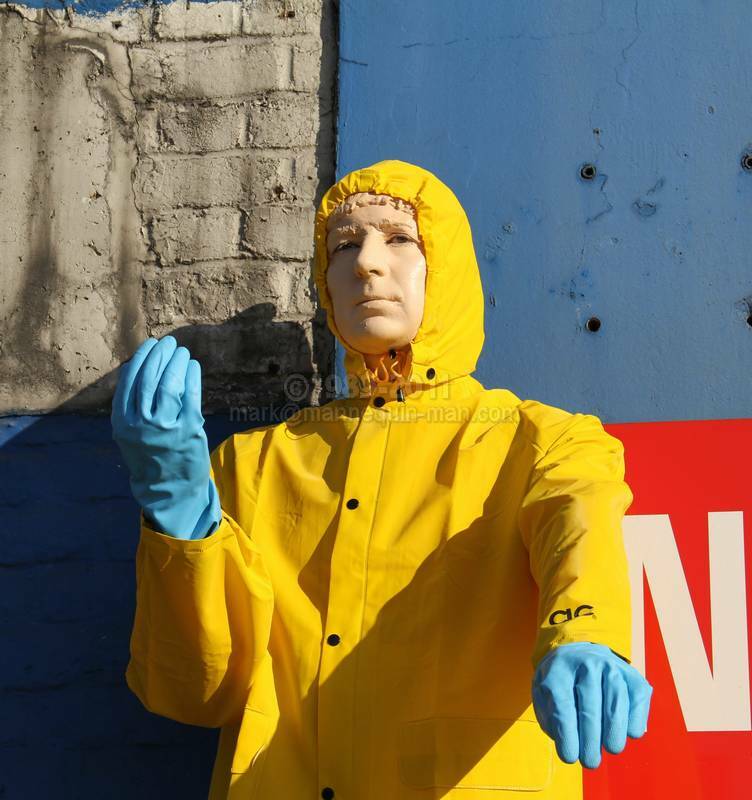 I also wore the new yellow waterproofs, which were to be Michael's new clothing, but sadly, he may never get to wear them.